Researchers from around the world rely on Minnesota’s pavement testing center, MnROAD. Minnesota alone saves at least $33 million each year, thanks to quantifiable advances made at MnROAD. The annual nation-wide savings is thought to be even larger: $749 million. Established in 1994, MnROAD partners with the FHWA, industry and dozens of other states and countries to conduct research on two live test tracks in rural Albertville. No other cold-weather facility offers such an array of pavement types with thousands of electronic sensors recording both environmental changes and dynamic truck testing. “If not for MnROAD, many of our projects wouldn’t be nearly as successful,” said Highway Research Engineer Larry Wiser of the Federal Highway Administration. At an Aug. 6 open house, this one-of-a-kind research facility celebrated 20 years of finding ways to make roads last longer, perform better and cost less. Two separate road segments contain 51 test cells, with different combinations of surface materials, aggregate bases and subgrades, as well as variations in structural design and drainage features. 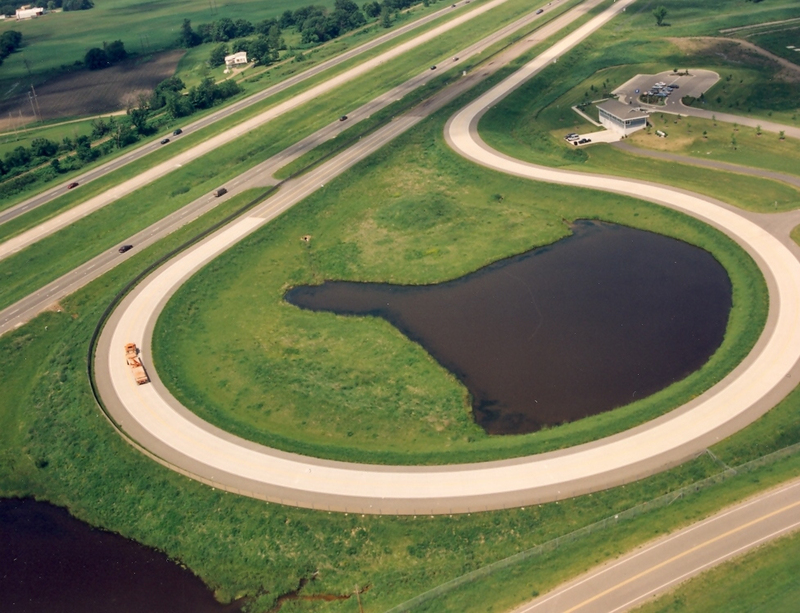 MnROAD consists of two unique road segments located next to Interstate 94. MnROAD’s initial research on pavement life and performance (from 1994 to 2006) reduced maintenance costs, repairs and motorist delay. In the second phase of research, MnROAD reconstructed almost 40 test cells for more than 20 different studies. The benefits derived from this work is estimated to be worth nearly nine times what the studies cost – and that’s just the benefit for Minnesota. – Thousands of sensors that record load response and environmental data.